Enter your MOL container tracking number below, should have format MOLU1234567, get the real-time MOL container status. MOL (Mitsui O.S.K. Lines, Ltd.) (Kabushiki-gaisha Shōsen Mitsui) is a Japanese transport company headquartered in Toranomon, Minato, Tokyo, Japan. The company’s main area of operations is international shipping. 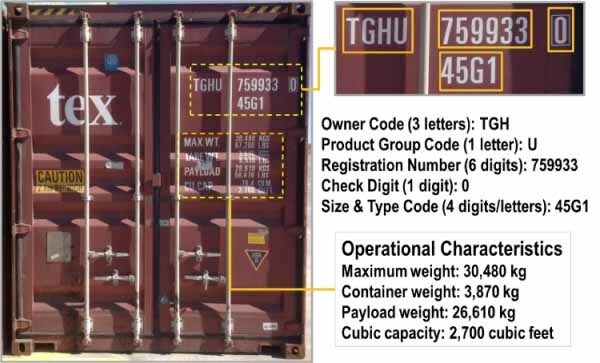 Its alligator logo can be seen on containers in ports around the world. >MOL (Mitsui O.S.K. Lines) was founded in 1964, following the merger of Osaka Shosen Kaisha (OSK) and Mitsui Steamship Co., Ltd., formerly Mitsui Line, under the Law Concerning the Reconstruction and Reorganization of the Shipping Industry. At that time the company was the largest shipping company in Japan, capitalized at ¥13.1 billion, with 83 vessels aggregating 1,237 thousand metric tons deadweight (DWT). If you have problem with our container tracking system, please track your container directly on the MOL website. If you get no tracking information from MOL official website, you’d better contact MOL. When you ship with MOL, you will get a MOL container tracking number with format MOLU1234567, MOLU is one of MOL’s prefixs. MOL has the following prefixs: MOAU, MOEU, MOFU, MOGU, MOLU, MORU, MOSU and MOTU. Know more MOL container tracking number information from below picture. If you have problem with our MOL Container Tracking system, submit your problem here, we will help you as soon as possible. Declare: We can NOT contact carrier or others on your behalf, we can only help you track your package with your MOL tracking number on official tracking system. need ETA for Container number MOAU0777489. Port of Discharge is Meridian Port Services, Tema. Location: NINGBO CIMC CONTAINER SERVICES CO., LTD.